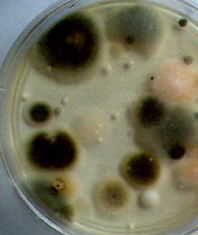 Mold grows everywhere, from the surface of the Antarctic rocks to the inside windows of the Soviet spacecraft. Molds are a part of nature. We are exposed to them every day. For most people molds are only a problem when they start growing indoors and the air inside a building becomes concentrated with allergenic spores and mycotoxins, the chemical toxins that some molds produce. Molds can cause many health problems including allergic and toxic reactions. Allergic reactions include, asthma attacks, chronic sinusitis and various other respiratory problems. Mycotoxins appear to have toxic effects on the lungs and nervous system and may cause pulmonary hemorrhaging in infants and memory impairment in older children and adults. Dead molds can still make you sick so removing the mold is more important than killing the mold. CAS specializes in the remediation and decontamination of mold contaminated building materials insuring that the area is clean and safe prior to re-occupancy. Inspections/Assessments: The process of visual inspection and assessment of a property for possible mold contamination. Sampling: The process of measuring the fungal spores in a specific volume of air in a state period of time and or the determination of the presence of mold on a particular surface. Remediation/Decontamination The process utilized to eliminate abnormal or excessive spore release from contaminated building materials.